Former captain Steve Smith, deputy David Warner and batsman Cameron Bancroft were all banned for their roles in the incident. David Peever has announced his resignation as Chairman of the Board of Cricket Australia. 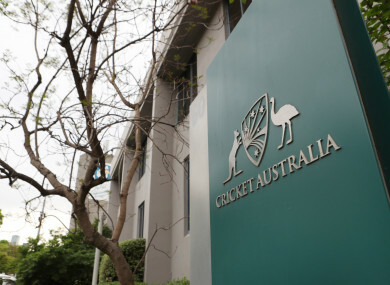 CRICKET AUSTRALIA CHAIRMAN David Peever has announced his resignation after coming under intense pressure over a ball-tampering scandal which has triggered an exodus of senior figures and long bans for three players. His deputy Earl Eddings, a former Cricket Australia director, was appointed as interim chairman. It found that an “arrogant” and “controlling” culture within the governing body contributed to players, who existed in a “gilded bubble”, cheating in the pursuit of victory. The document also included complaints that there was a bullying culture in elite men’s cricket. It made 42 recommendations, including establishing an anti-harassment code to stop sledging and training to improve team leaders’ “moral courage”. “The board is keenly aware that we have a way to go to earn back the trust of the cricket community. We and the executive team are determined to make cricket stronger,” he added. Peever, who took over the chairmanship from former Test opener Wally Edwards in 2015, has been a polarising figure. Email “Cricket Australia chairman resigns following ball-tampering scandal”. Feedback on “Cricket Australia chairman resigns following ball-tampering scandal”.